The life of Wes Montgomery shows a true jazz guitar master. This dude could "get down" and play follks! 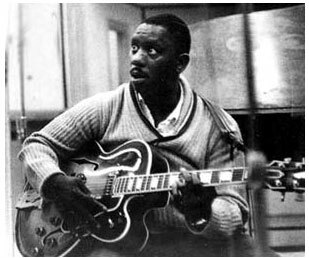 Wes Montgomery is generally considered one of the major jazz guitarists, emerging after such seminal figures as Django Reinhardt and Charlie Christian. Although he was not skilled at reading music, he could learn complex melodies and riffs by ear. Montgomery started learning guitar at the age of 19, listening to and learning recordings of his idol, the guitarist Charlie Christian. He was known for his ability to play Christian solos note for note and was hired by Lionel Hampton. Montgomery was unique in his wide influence on other virtuosos who followed him, and in the respect he earned from his contemporaries. 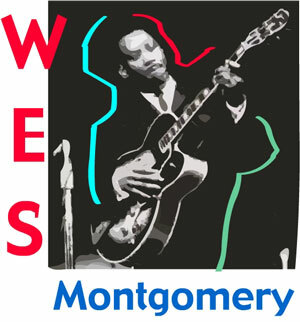 To many, Montgomery's playing defines jazz guitar and the sound that many try to emulate. The dude was a "freak of nature"! Instead of using a guitar pick, Montgomery plucked the strings with the fleshy part of his thumb, using downstrokes for single notes and a combination of upstrokes and downstrokes for chords and octaves. This technique enabled him to get a mellow, expressive tone from his guitar. George Benson, in the liner notes of the Ultimate Wes Montgomery album, wrote, "Wes had a corn on his thumb, which gave his sound that point. He would get one sound for the soft parts, and then that point by using the corn. That's why no one will ever match Wes. And his thumb was double-jointed. He could bend it all the way back to touch his wrist, which he would do to shock people."